Nothing is more exciting than wildlife in your property, but don’t be fooled, letting nuisance wildlife live in your property has dire consequences. They have the capability of causing significant damage to your structures, they transmit diseases, carry parasites, and if threatened, they could bite. It is not uncommon for wildlife to set up residence in your home, especially during spring. Getting rid of these pesky invaders isn’t an easy task either, that’s why hiring the right wildlife removal service will save you a lot of stress and money in the process. When you call us, you can rest easy that all your animal control worries will be handled most conveniently and professionally. Identifying invasive wildlife is not easy, especially for an inexperienced individual. Getting an inspection service will correctly identify the wildlife nuisance in your property. Our professional wildlife removal technicians will conduct a thorough inspection of your premises on the interior and exterior to determine what type of animal got in, how it got in, and where it currently lives. Our inspection services will also assess the level of damage the nuisance wildlife have caused in their short stay. Wild animals do not invade your property out of curiosity; they are attracted to your property by food sources or conducive environment your property offers to build nests. Based on the wildlife inspection report, our technicians implement the most appropriate removal technique to get rid of the nuisance wildlife in your property. We have extensive know-how on wildlife behaviour and their vulnerabilities. We will use this information to determine the best possible removal technique for your home. All our animal removal services are humane. Our wildlife experts will use humane removal methods to get rid of the nuisance wildlife, safely returning them to their natural habitat. Exclusion services are essential when it comes to wildlife removal. Without this service, you’ll be forced to deal with the same wildlife nuisance every year, since they will keep coming back. Our wildlife removal and exclusion service will not only get rid of the nuisance wildlife in your home, but it will also make sure that they do not return. Our experts will use specialized materials to seal off all entry points preventing removed nuisance wildlife from returning. Depending on the wildlife pest in your property, we might set up one-way exclusion doors that will prevent re-entry after the animal pest has been removed. Wildlife removal Guelph. 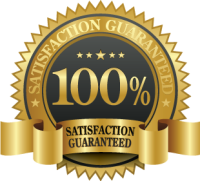 Effective service, guaranteed results. Our staff is trained, licensed and skilled to locate raccoons, squirrels or skunks from every corner of your home, garden, lawn or crawlspace and seal their entrance points permanently. Call us at 647-496-4484 and our technician will assist you in booking an inspection appointment. Post the inspection, we will discuss with you the extent of wildlife invasion on your property and provide you with the best possible solution. With the widespread of wildlife in urban areas, homeowners feel utterly helpless when their homes are invaded by raccoons, squirrels and skunks. These nuisance animals not only invade your home for nesting purposes but also steal and contaminate your food and spread diseases. If you realize that you have a wildlife invasion in your home, it is best to get professional wildlife removal services to help rid you of these troublesome animals. 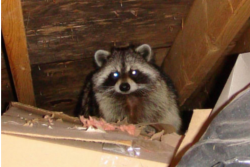 At Wildlife Removal Guelph, we not only help you eradicate such pesky animals in a humane way but also provide control procedures to keep these animals at bay, so that you do not face similar invasion problems in the future. Raccoons are active all year round, they are nocturnal and are known to cause extensive damage to roofs, soffits, attics as well as gardens. Raccoons are dangerous wildlife to have around your home. Apart from the risk of raccoon attacks, which could leave you or your pet with the risk of contracting the dreaded Rabies virus from an infected animal, these bandit-masked intruders are also capable of passing on several diseases and conditions to humans as well as other animals. 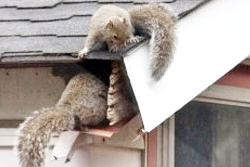 Squirrels make their way into attics during the winter months when they search for shelter. When they enter an attic they can cause havoc. They are active during the day, they chew wires, tear up insulation and can contaminate an area. The holes they make in your home and garden, the bark they strip off ornamental trees and the chewing up of wires etc. should be enough reason to keep squirrels away. Of course, their ability to pass on serious diseases (including the dreaded Lyme Disease) is yet another strong reason. 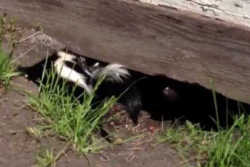 Skunks are active during the summer months. They burrow under decks and in gardens. They carry rabies and can damage gardens and of course cause disturbances to you, your family and pets. While people usually associate skunks only with the foul odour they are capable of emitting to ward off danger, these animals are also carriers of several bacteria and viruses. Their burrowing habits too cause problems on the property front. Therefore, even though skunks may seem like shy animals, keeping them off your premises is strongly recommended. Pigeons readily adjust to the surroundings as well as many of the birds residing in other urban areas as well as cities are becoming a standard sight. Their resourcefulness in making nests made from things that are changing makes them more difficult to remove and irritating. Birds may seem beautiful from afar but when living in close proximity, they can certainly prove to be a nuisance. Whether it is the filth they create through their droppings, the noise they make with their fluttering, or the drains and sewers they clog with the material they use to build their nests, birds can indeed prove a 24/7 problem in several ways. Bats are the only mammals capable of flight, bats are very beneficial to the environment because they consume a fantastic number of flying insect such as mosquitoes. However, bats can also be considered nuisances, particularly when they decide to build a nest in your attic. Many species, such as small brown bats and big brown bats, can populate attics and grow in massive colonies and spread diseases to you and your family members. 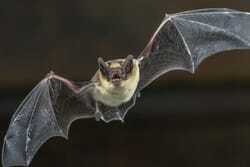 Call us today in you need help dealing with bats on your property.